The steamrolling of human rights and environmental norms embodied by Belo Monte has set a malicious paradigm that Belo Sun Mining is eager to emulate; just like the mega-dam, the company's Volta Grande project is of pharaonic proportions with impacts to match, and is already exhibiting signs of corruption, legal manipulations, and predatory capitalism. Independent energy researcher Telma Monteiro calls the Volta Grande project "a direct consequence of Belo Monte...Its extensive impacts have been systematically disregarded in various environmental studies and licensing processes." Monteiro was responsible for bringing Belo Sun to the attention of a broad Brazilian audience with an incendiary blog. Her research indicates that Belo Sun's activities are a harbinger of an unprecedented Amazonian mining boom, heralded in by major changes to Brazilian mining legislation and threatening indigenous lands and protected territories. While resistance to Belo Monte continues to undermine the project, with a tenacious community of fishermen and their families currently occupying areas adjacent to its principle work site, the Norte Energia consortium could construct the final cofferdams as early as this month, definitively shutting the Xingu's mighty flow and driving 80% of its waters into a massive artificial canal to feed the project's main powerhouse. If this were to happen the current of the Big Bend – or Volta Grande – section of the river would be reduced to a trickle, with devastating consequences for indigenous and other riverine communities living downstream of the dam. For Belo Sun executives, however, the newly dried riverbed is exactly where they intend to excavate what the company terms "the largest gold exploration project in Brazil." 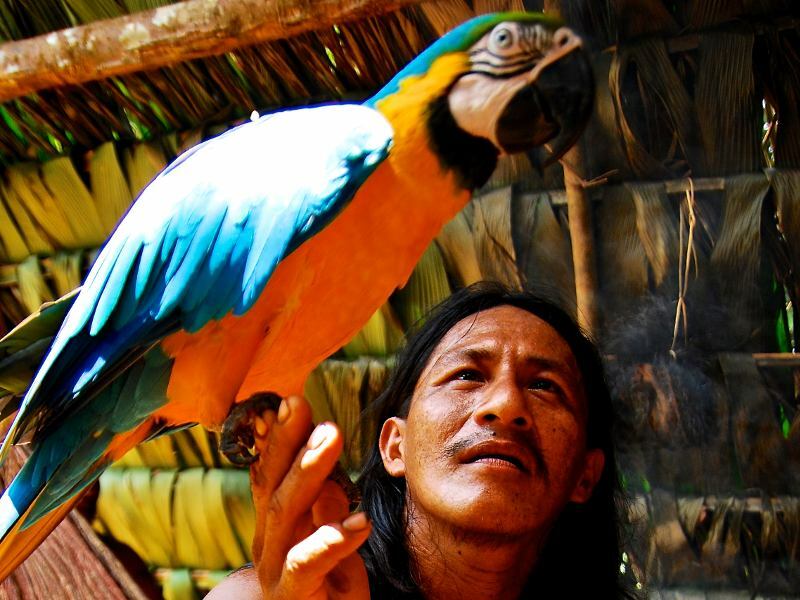 Should they succeed, the Xingu would become a scavenger's feast. Belo Sun's Volta Grande project began with a whisper in 2010 when it initiated exploration activities adjacent to the Xingu's Big Bend. Since that time, the project has radically advanced, obtaining rights to prospect for gold on a massive 1,305 square kilometer (810 square mile) concession and quickly passing through the first stages toward obtaining environmental and operational licensing. The apparent ease with which Belo Sun has operated could imply that it has some powerful friends in Brazil, ready to line their pockets with loot from the gold mine. The company intends to invest $1.07 billion in the Volta Grande project and expects to extract 4,684 kilos (165,223 ounces) of gold per year for 12 years, offering a tidy $3.5 billion in returns during that period. In addition to 2.85 million ounces of gold in Belo Sun's concession, mineral wealth of the Big Bend region is sizeable: deposits of diamonds, niobium, copper, phosphorus and phosphate have precipitated dozens of mining petitions from various actors. The Xingu's mineral riches are not an anomaly in the Amazon. The biome's enormous mining opportunities – with thousands of new mining exploration permits currently awaiting approval in the region – have driven Brazil's Ministry of Mines and Energy to draw up new legislation to allow mining on previously protected indigenous territories. The new law could be fast tracked to approval this year as there is a lot riding on the untapped wealth beneath indigenous lands. The social and environmental impacts of Belo Sun's gold extraction will be diverse and profound, aggravating the chaos that the Belo Monte dam has unleashed on the region. Mining operations will further damage surface and subterranean water quality while leading to significant silting of the river and the poisoning of remaining fish stocks, heaping insult on injury for the indigenous and neighboring riverine communities living downstream of the mine. The movement of colossus quantities of earth and rock needed to extract gold – where one ton needs to be excavated to produce one gram of gold – will leave deep scars and open pits on the Amazonian landscape. And if the demographic explosion provoked by Belo Monte isn't enough, Belo Sun's ambitious plans will fling the doors open to additional mining operations and associated land invasions, leveling forests and villages in their wake. In its Environmental Impact Assessment (EIA) and public pronouncements, Belo Sun has claimed it will extract gold at near surface levels with open pits in "favorable geologic conditions", however a closer look at detailed plans available on their website shows that they intend to dig 200 to 300 meters or more for the metal, given that "consistent reduction in water levels [on the Xingu] will potentially further benefit Belo Sun's access to resources" because the Big Bend will have become a waterless wasteland due to the construction of Belo Monte. Along with the Big Bend's recognized indigenous communities, there is definitive evidence of the presence of indigenous peoples living in voluntary isolation on lands where Belo Sun's mining concessions extend. The invasion of their lands by thousands of miners equipped with heavy machinery promises disaster. In addition, the giant Volta Grande project overlaps with dozens of informal wildcat mines, which have been operating for decades. Belo Sun has already told these communities that they will have to leave. To mitigate the inevitable socio-environmental impacts of the Volta Grande project, Belo Sun is selling its predatory operations as a panacea for local development with investments in infrastructure, education, and health, greatly improving social and environmental indicators in the region, while fostering an egalitarian and sustainable quality of life. This all sounds strangely familiar; wasn't the Belo Monte dam sold to us with the same mendacities? Given what an abject disaster the dam has been, it's apparent we can trust this multi-billion dollar business about as far as we can throw its leaden weight. One of Belo Sun's claims that rings particularly hollow – and also echoes that of Norte Energia – is that the region's indigenous people will not be affected by the mines. Asked why its EIA made no mention of indigenous people living directly adjacent to its operations, the company's Brazilian Vice-president Hélio Deniz claimed it was because they would not be impacted. Pressed to clarify, Deniz then did an about-face and affirmed that indigenous people were indeed considered in the assessment, in particular their "synergy with the mine" such as access to infrastructure such as new roads, schools, and health centers. Again, Belo Sun has borrowed a claim from Norte Energia's greenwashing playbook: its concern for the Arara people, whose lands are skirted by its mining concession, or Juruna and Xicrin peoples who share the threatened Xingu and Bacaja rivers, will undoubtedly and similarly be discarded when it comes to properly mitigating them for the gold mine's deleterious impacts. Inaugurated with great fanfare on the Toronto Stock Exchange on April 30, 2012, the Canadian-based Belo Sun Mining Corporation is an emerging giant in Brazilian gold mining. The company belongs to the private capital merchant bank Forbes & Manhattan Inc., which has investments in mining projects throughout the world, and operates in Brazil as Belo Sun Mineração Ltda. On its website the company states its "primary focus is on advancing and expanding its 100% owned Volta Grande Gold project", as well as its portfolio of projects in Brazil, including a large gold mine located in the Amazon's Tapajos River basin, which is predictably adjacent to another one of the Brazilian government's planned hydroelectric projects, the massive Tapajos Complex. Like the vultures that proliferate alongside Amazonian mega-dams, Belo Sun executives appear have much to benefit from social and environmental chaos these projects provoke. The ease through which the company has passed through regulatory hurdles indicates that it has friends in high places in Brazil. For example, the Pará State environmental agency has carried out a lax and streamlined environmental licensing process, a task that should normally be handled with considerably more oversight by the federal agency IBAMA. Why IBAMA ceded its responsibility has yet to be determined. Another question centers on financing: to put up the $1 billion investment it has projected, Belo Sun will need friends with deep pockets. Speaking with the Brazilian newspaper Valor Económico, a Hélio Deniz claimed the company was considering seeking financing from Brazil's National Development Bank (BNDES), the same institution responsible for funding up to 80% of the Belo Monte dam. Perhaps more alarming is the strong possibility that the Brazilian business tycoon Eike Batista has his gilded tentacles in Belo Sun's business, given his interests with Canadian mining companies and past, profitable Amazonian gold mining experience. Having a friend like Eike behind the scenes would explain why the Volta Grande project has been waved through the regulatory process. If the synergies between Belo Monte and Belo Sun were ever in doubt, the mining company recently announced its goal to form a partnership with the dam-building Norte Energia consortium. According to Hélio Deniz, Belo Sun would like to share the investment necessary to run electric transmission lines from the main Pimental dam to the city of Altamira. Thus Belo Sun will enact a two-pronged strategy to cash in on both Belo Monte's environmental fallout and energy glut. "We need energy for mining," said Deniz. "Why build two [transmission] lines? We can share this installation." Indeed, the company's website tout's the Volta Grande project's "access to alternative low-cost electricity" making Belo Sun "well situated to enjoy low-cost power with limited addition to initial capital expenditures." Given that its mining operation will be situated at the foot of the mega-dam that cuts the Xingu in two, tapping that cheap and bountiful energy source is but an afterthought. In order to obtain its initial environmental license, Belo Sun held a public hearing where 300 people showed up to learn more about the Volta Grande project. However, just like Belo Monte's flawed public hearings, the event was prohibitively distant for the project's affected people to attend. After witnessing the hearing a lawyer with Brazil's Federal Public Ministry (MPF) was shocked by the significant gaps in what the company champions and its omissions on mine's potentially grim impacts. She immediately opened an investigation into Belo Sun and the MPF accordingly issued a press release, quickly covered in a Financial Times article, highlighting the controversy and citing a legal "probe" of the company. The article sent shockwaves through a group of investors set to put up $50 million for a bought deal financing Belo Sun announced the same day it was published, hammering $320 million company's stock prices, and forcing CEO Mark Eaton to cancel the offer. In order to reassure investors and save the financing, Mr. Eaton deftly manipulated the facts issuing seedy statements on how: "The Company is honored and pleased with the participation and interest of the Public Prosecutor Officers" offering full transparency and disclosure to the MPF for what he called a "run-of-the-mill review", dismissing the investigation to The Globe and Mail as a routine trifle conducted to make sure there were no issues with indigenous peoples or other such inconveniences. Mr. Eaton called the FT article "a slightly unfortunate translation of Brazilian terms" that blew things out of proportion, considering if someone in the Amazon wanted to build "a cow shed, the federal prosecutor has to open an ‘investigation.'" Mr. Eaton was rewarded for his gross distortion of reality with the recovery of Belo Sun stock prices and the reinstatement of the bought deal days later. Yet while the company's immediate financial troubles were averted, it will undoubtedly have many more challenges to overcome before it can drill for gold, none so much as those posed by the local communities its mines will affect. Poised at the top of a pack of new mining companies vying for the Amazon's riches, Belo Sun sings the praises of Brazil's "favorable political climate" and "recently modernized mining code" with "largely underexplored" mineral deposits. Every indication is that the political climate espoused by the Dilma Rousseff government will open the gates to an avalanche of mining projects in the Amazon, including those that cut deeply into indigenous lands, just as it has thrust forward its plans to dam the region's wild rivers, wreaking incalculable socio-environmental destruction. Belo Sun's Volta Grande Project is indeed a direct consequence of the Belo Monte dam and a sad sign of the corporate malfeasance of international mining interests wishing to cash in on the Xingu's tragedy. Yet its arrogant executives may find operating in the Amazon more difficult than anticipated, as resistance to their predatory goals mounts apace with their greedy intentions. The saga of Belo Monte, just like that of Belo Sun, holds many stories that have yet to unfold.